It takes FOCCUS to raise awareness! MISSION OF FRIENDS OF CHERNOBYL CENTERS U.S., INC. 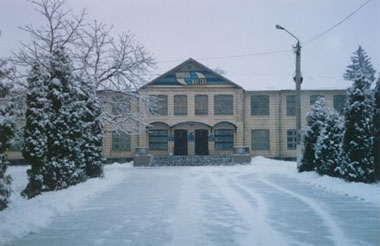 The mission of Friends of Chernobyl Centers, U.S. Inc. (FOCCUS) is to strengthen recovery efforts of individuals and communities in Russia and Ukraine that have been severely affected by the Chernobyl nuclear accident…and to foster education regarding psychosocial and community recovery from technological disasters. FOCCUS accomplishes its mission by supporting a network of Community Centers for Psycho-social Rehabilitation in 9 communities situated in, or on the edge of, contaminated communities. The Centers were developed by UNESCO and the first one opened in 1994 with support from the UN. The United Nations Development Program is currently the lead agency dealing with Chernobyl recovery issues. FOCCUS is the only organization in the world devoted solely to the support of these pioneering Community Centers. FOCCUS has sent over $100,000 and provided educational material and pro bono training and consultation services to the Centers. Following the April 26 U.S. Congressional hearing on Chernobyl, FOCCUS was presented a Congressional Certificate of Appreciation" to honor FOCCUS contributions to the Children of Chernobyl".